Understanding ArubaOS goes beyond documenting and describing the Aruba controller based operating system. It focuses on explaining the ArubaOS environment and architecture. The Aruba controller based operating system is extremely powerful and capable, providing many different features. This book attempts to increase the reader's understanding of how this powerful tool can improve the security and quality in any size wireless network. Written by an instructor with over 13 years of Aruba training experience, Understanding ArubaOS will help you understand the different pieces of the Aruba controller based wireless system, the functions of these pieces, and how they fit together. 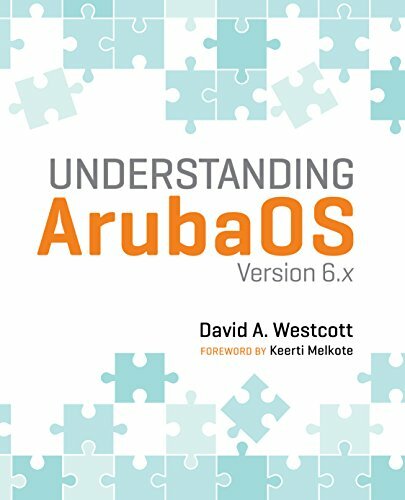 This book does not just focus on the commands and configuration screens, but gives functional knowledge about the entire Aruba Networks wireless system. The book takes a very matter-of-fact, straightforward approach to understanding the Aruba Networks architecture and its components. Stories and analogies are used to make it easier to understand complex topics. The book is not intended to be an A through Z, step-by-step user's guide to configuring ArubaOS; however, it does provide hundreds of graphics and CLI commands, along with the output displayed, describing and showing the steps to perform most of the tasks in the book.